International Buddhist Ethics Committee - Buddhist Tribunal on Human Rights: Judgment on "Supreme Court of Pakistan"
Dear Prosecutor, Public Defender, Ambassador, Secretary and Jury Members of the International Buddhist Ethics Committee (IBEC) and Buddhist Tribunal on Human Rights (BTHR), regarding the Case 42-2018 against "Supreme Court of Pakistan", on April 25, 2018, it is hereby recorded that the trial has been concluded to analyze the violation against Human Rights and Buddhist Ethics carried out by the accused. This case has been carried out as a consequence of the "ISIS Case". After analyzing the presentation of the Case and the validation of the evidence, it has proceeded with voting of 10 members of the Jury, confirming that there was 1 vote of "Insanity", and 9 votes of Responsible, so that the "Supreme Court of Pakistan" has been found Responsible for the serious crimes of Genocide, Ethnic Cleansing, Crimes against Humanity, Crimes against Peace, Crimes against Women, Violation of the International Human Rights Law and False Islamic Law. The Buddhist Tribunal on Human Rights has been able to verify that the "Supreme Court of Pakistan" has maintained and has not punished the Pakistani regime that violates the human rights, which has carried out a systematic and generalized plan of Forced Deportations against the Afghan People, Violation of Freedom of Expression and Arbitrary Detentions of Muslim critics, Violation of Freedom of Thought and Religion of Christians, Violation of the Human Right to Life and Violation of Islamic Law through the Unlawful Use of the Death Penalty, Violation of Constitutional Law for breaching international treaties, Attacks against human rights defenders, Forced Disappearances as well as Torture and Extrajudicial Executions against Balochistan, Violation of Women's Rights for having sexually abused hundreds of thousands of women, and finally War Crimes and Extermination against Bangladesh. Because the old system of Buddhist Civilization reigned millennially in Pakistan, it is important that Buddhism does not remain silent in the face of these International Crimes and Violation of Buddhist Law by the contemporary government of Pakistan. Although the Maitriyana Community follows the path of interreligious and interspiritual dialogue, it simultaneously has an indestructible commitment to fight against injustice, especially when crimes are committed in the name of a religion, which is why Pakistan is sentenced for betraying the values and ethical principles of Islamic Spirituality. While the "Supreme Court of Pakistan" maintains and does not punish the systematic and widespread regime of human rights violations that go against civilization of peace, it will be Responsible for violations of International Law, especially violating treaties signed by Pakistan, such as the International Covenant on Civil and Political Rights; the Convention against Torture and Other Cruel, Inhuman or Degrading Treatment or Punishment; the Convention on the Rights of the Child; the Convention on the Elimination of All Forms of Discrimination against Women; and the International Convention on the Elimination of All Forms of Racial Discrimination. In this sense, even though Pakistan has made reservations on some articles of the International Covenant on Civil and Political Rights with the aim of maintaining discriminations against women and against religious minorities, according to the U.N. Human Rights Committee such reservations about certain articles would be invalid when they affect the integrity, aims and purposes of the Convention, which means that Pakistan is internationally obliged to comply it. Even as the Vienna Convention on the Law of the Treaties prohibits reservations from being incompatible with the objectives of the treaties, then any reservation that Pakistan may have to comply with the binding legal obligations of the International Covenant on Civil and Political Rights would be genuine whenever they are not functional to the violation of civil and political rights or when they do not violate the rules of the International Customary Law, which means that Pakistan cannot make reservations about the fulfillment of the rights to life and freedom of thought and religion. At the same time, the U.N. Human Rights Committee has established that the subordination of civil and political rights with respect to Domestic or State Law is inadmissible and legally prohibited. The Buddhist Tribunal on Human Rights confirms that sectors 298 B and 298 C of the Pakistan Penal Code, used against the Ahmadiyya Community, violate Article 20 of the Constitution of Pakistan where it is established that every citizen has the right to profess, practice and propagate his or her religion. In fact, having rejected the appeals of the Ahmadiyya Community in the Case of Zaheeruddin v State (1993), with the exception of Judge Shafiur Rahman, the "Supreme Court of Pakistan" has demonstrated its total complicity with the illegal regime that violates both the Constitution of Pakistan as well as the international human rights treaties signed by the country. However, before the current deterioration of the Pakistani judicial system, the "Supreme Court of Pakistan" functioned more adequately, as when in the case of Jibendra Kishore Acharyya Chowdhury v East Pakistan (1957) it affirmed that the fundamental rights guaranteed by the Constitution of Pakistan cannot be overridden through the law, because otherwise there would be a fraud against citizens. The Buddhist Tribunal on Human Rights confirms the fact that the death penalty cases carried out by the justice system of Pakistan against blasphemers not only violate International Law due to their discriminatory nature, but also because they are often improper procedures without the right to defense and without right to a quick trial, since the victims are usually illegally imprisoned for more than a decade and without access to legal representation. In the case of "Smartt v Guyana" the U.N. Human Rights Committee established that leaving the defendant defenseless in death penalty cases turned the totality of the judicial proceedings into a violation of the International Covenant on Civil and Political Rights. In the Cases of "Munoz Hermoza v Peru" and "Lumanog and Santos v Philippines", the U.N. Human Rights Committee established that a fair hearing implies that there is no undue delay. Another violation of the right to fair hearing that occurs in the courts of Pakistan is that in cases of blasphemers sentenced to death there are multitudes of people outside the courts, pressuring and threatening the judges not to release the accused ones, so that this hostile climate violates the right to a fair hearing, as established by the UN Human Rights Committee in the Case of Gridin v Russian Federation. The Buddhist Tribunal on Human Rights confirms that Pakistan's legal system uses the illegal procedures of arbitrary detention and torture in a systematically and widespread way. With respect to arbitrary detentions under false pretext, the U.N. Human Rights Committee has established that these types of procedures violate the International Covenant on Civil and Political Rights, as established in the Case of “Mulezi v Democratic Republic of the Congo". Also, about the multiple cases of deaths caused by torture under the force of the law, which usually go unpunished and without being investigated, the U.N. Human Rights Committee has established in the case of “Sathasivam and Saraswathi v. Sri Lanka" that these types of practices violate the International Covenant on Civil and Political Rights. Even when the murders are carried out by civilians, as is the case of radical groups that burned several Christians alive and set their churches on fire, the judicial system of Pakistan does not usually investigate or condemn those responsible, despite the fact that failing to provide judicial remedy to the victims constitutes a violation of the International Covenant on Civil and Political Rights, as established by the UN Human Rights Committee in the Case of "Sankara and Ors v Burkina Faso". The Buddhist Law considers that courts and tribunals around the world should always give voice to the victims and the defenseless instead of being mere techniques of maintaining impunity and the status quo of the rich and powerful. Therefore, when the official courts and tribunals do not fulfill their judicial function, then the communities have the right and the duty to assume alternative processes of conflict resolution, always being faithful to the socialist principles of peace, justice, human rights and ecological harmony. This legal activism of Maitriyana continues the path of juridical civil disobedience of Gandhi and Ambedkar, propitiating social liberation and change in the face of oppression, especially when the State monopolizes the administration of justice in a biased way and discriminating against the weakest or violating the fundamental freedoms established in international treaties. Obviously, the Buddhist Law is not in favor of the alternative justice of the jirgas and panchayat of Pakistan that violate human rights through violent or unlawful punishments, especially violating the rights of girls and women by turning them into property after have mixed Islam with criminal feudal practices and contrary to Islamic morality, as they tend to provide pseudo-restorative justice through trading women, torture and murder. However, the Maitriyana does not fail to recognize the immense value of the popular courts and the alternative conflicts resolution methods when they effectively respect human rights, practicing a legal pluralism that demonopolizes the administration of justice when the State is ineffective, incompetent and criminal. In fact, the very U.N. recognizes the value of informal or non-State justice systems, considering that they are practices of indigenous communities that should not be discriminated and that can contribute much to the administration of justice through customary practices. Ultimately, Pakistan will only be able to become a civilized State through the Righteous and Appropriate Justice practiced by the Maitriyana, so that the “Supreme Court of Pakistan” must learn the art of restorative justice in order to heal and harmonize society, which is not a Western idea but points to the very heart of Islamic Customary Law and its vision of the ideals of respect, dignity, reparation, repentance, forgiveness, rehabilitation, purification, mercy, reconciliation, responsibility and liberty. In conclusion, the Buddhist Tribunal on Human Rights has the Purpose (Dharma) to protect the whole humanity through active contemplation, compassionate wisdom and humanitarian ethics, especially by judging governments that commit genocide and crimes against women, as is the case of Pakistan. Therefore, it is established that the "Supreme Court of Pakistan" has violated International Law and also the Islamic Law through genocidal activities that produce a systematic and widespread scheme of violations against the rights of human beings that are protected by international treaties. Undoubtedly, Pakistan should strip away all genocidal and criminal traits, especially abandoning any kind of misuse of the Islamic religion carried out by guerrilla and terrorist groups such as ISIS, having to recover the predominance of Islamic Spirituality and its passion for the contact with the divine. Therefore, this ethical judgment against the "Supreme Court of Pakistan" is a great lesson for this Great country to become again a righteous government that does not do evil, does the good and spiritually purifies, as Pakistan was during the reign of the Ancient Buddhist Civilization. 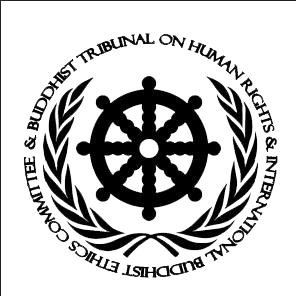 Following Master Gautama, who developed a movement of peace and defense of women, the Buddhist Tribunal on Human Rights supervises that governments do not attempt against ethics and human rights, never betraying the value of human life, so that the “Supreme Court of Pakistan” has been sentenced as Responsible for Genocide, Ethnic Cleansing, Crimes against Humanity, Crimes against Peace, Crimes against Women, Violation of International Human Rights Law and False Islamic Law. Human Rights Committee, General Comment No 24:Issues relating to Reservations made upon Ratification or Accession to the Covenant or the Optional Protocols thereto, or in relation to Declarations under article 41 of the Covenant, 52nd sess, un doc CCpr/C/21/rev.1/add.6 (4 november 1994).